The events leading to a dog paws bleeding, if serious, could hinder your pet’s mobility. It is therefore important to take good care of their wellbeing which should include pampering the paws just as much as we do their coats. By so doing, injuries resulting from neglect such as cracking are minimized. This, though, does not protect your dog from accidental paw injuries. Below we look at the causes of dog paws bleeding, how to stop it and what to make out of situations where bleeding dog paws are observed after a walk or a run. Discoloration of the paw pad. When these symptoms are exhibited, it is important to identify the cause. There are many reasons why this may happen as discussed below. A common cause of dog paws bleeding is burning and blistering. 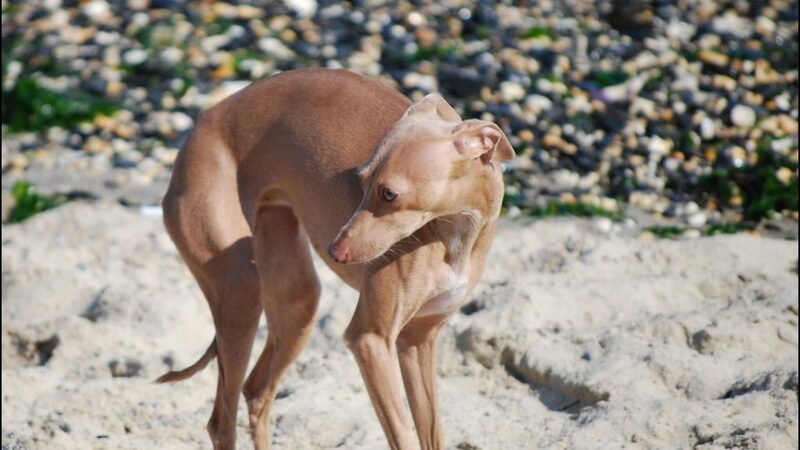 This may occur when you walk your dog on extremely hot pavements or in hot sand. When this happens, a loose flap develops which may with time detach from the paw pad. This leaves a red inflamed patch that bleeds upon being subjected to further pressure. Another cause of burns on paws could be chemicals. Bleeding as a result of burns may require bandaging until the paw heals. Avoid walking your dog in extremely hot conditions and learn to put some booties on to protect them. Generally, a dog’s paw pads are rough. This helps in movement such as when there is an urge to turn in haste, stop abruptly or sprint off. When the paw pads get dry and crack as a result, they become vulnerable to injuries, collects debris within the cracks and is are in pretty bad condition. Bleeding becomes easy and can happen with the slightest incidence of trauma. To avoid this, you should take good care of your dog’s paws. Keep them moisturized using footpad moisturizing creams and protect them from exposure to harsh weather conditions. When a dog has a cut on his paw, he will obviously bleed. A split paw pad may be caused by sharp objects such as stepping on a piece of glass, a tool left lying carelessly, a tear by a thorn as well as when dogs try to go through barbed fences. Foreign objects are the most common cause of dog paws bleeding between toes. When there are foreign objects lodged in between the dog’s toes and they are not removed in good time, the skin around will end up being hurt and bleeding. These could be small stones, dried mud, foxtails, and pieces of glass. These can usually be removed using a pair of tweezers after which you can nurse the bleeding dog paws to healing. Just like in human beings, a broken or cracked toenail in dogs will bleed and be painful. This may result from awkward positioning of the foot as well as trauma exerted on the toenails. Where the dog paws bleeding from toenail injury is not severe, cleaning, disinfecting it and dressing it is enough to allow for healing. However, veterinary intervention is necessary where the bleeding cannot be controlled by simple bandaging. In this case, the veterinarian will cauterize the broken blood vessels to stop bleeding. Situations in which dogs lick their paws gently but persistently are common. However, when this harmless behavior turns into a dog biting or chewing their paws until bleeding, it becomes a problem. There are many reasons why this behavior may develop suddenly. In most cases, the dog will be itching which can be as a result of foreign bodies, yeast infections on paws as well as parasites. Allergic reactions could also cause obsessive chewing on paws. Inspect the area to identify the cause, stop the bleeding and where necessary, seek treatment for the cause from your veterinarian. When it is summer time and you bring your dog back to the house from your usual walk and you notice bleeding, the most likely cause would be a burn. This is more so if they were being walked on surfaces that are good at heat retention. In some cases, though such as where they went for a run outdoors without there being too much heat, the bleeding could be caused by trauma on the paw pads. This can occur from stepping on blunt objects outdoors, being hit among others. 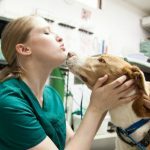 Whether a dog paws bleeding is treated at home only or if there is a need to see the veterinarian depends on the type of injury leading to it. 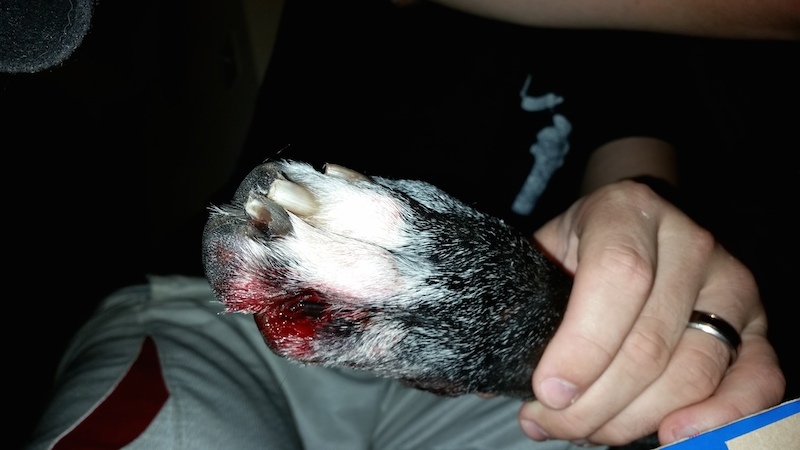 Here is the procedure on how to stop dog paws bleeding with directions on when to see a vet. The presence of foreign matter may it be dirt, stones or leaves is likely to do more harm to the already injured paw pad. Start by inspecting if you can locate any foreign object on the skin. You will also need to check if there is anything lodged in the skin. You can use your hands to get rid of the material on the surface while a pair of tweezers would be ideal for objects lodged in the skin. Do not force it though and if it is proving hard to get off, leave it and let the veterinarian do it. You may find it necessary to trim off the hair around the area if it hinders removal of the object. Cleaning up and disinfecting the injured paw pad is important as it helps prevent infections as well as wash off debris that may get into the skin through the laceration. You can use a water and iodine solution to flash off the injured paw. An Epsom salt solution could work too. If after the cleaning and drying up the dog paws bleeding has not stopped, it is time to ensure it does. This can be achieved by applying pressure on the wound. Wrap a bandage on the paw or a clean piece of absorbent material on the area. Depending on the extent of the injury sustained, bleeding may stop immediately or take a while longer. Small spots tend to stop after a short while, while deeper cups may require more than some pressure. In the latter case, a trip to the veterinarian will be necessary. Once you have bandaged your dog, it is important that they don’t exert excessive force on the injured paw pad. Keep him off rough surfaces that may damage the paw further. In case they keep licking or chewing on the paw, Use an Elizabethan collar until the paw is healed. In case you walked your dog in the scorching heat and their paws suffered, you can use some ice packs to soothe the resulting burns. The same can be used in case the bleeding paws are swollen. Running cool water on them in the garden using a faucet or hose can help in cooling their body too. A dog’s paws are warm and the presence of moisture increases the chances of infections. With bleeding involved, it is quite easy for your dog to develop secondary infections. It is therefore important to ensure that proper care, cleaning, and bandaging is done. In case more intense care is required or where signs of an infection flare up, see your veterinarian. Dog paws bleeding can be prevented if the caregiver watches out for things likely to inflict injuries on the dog. Avoid walking your dog in extremely hot weather and surfaces. When going for a walk, try and keep your dog on clear paths.